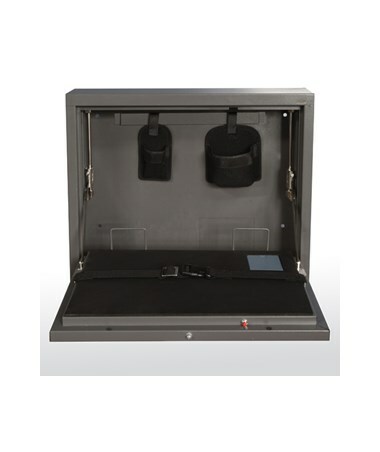 The Sandusky Lee Wall Mount Laptop Security Cabinet is a tough and secure unit for safely storing your laptop. 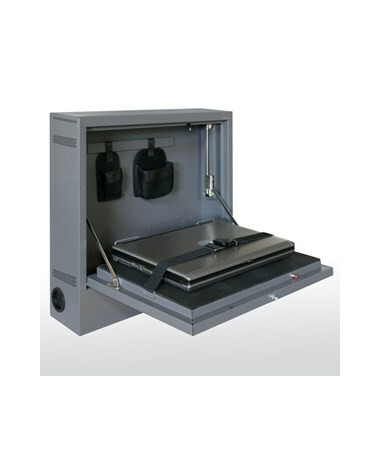 Its platform has a cushioned pad and adjustable elastic straps to hold the laptop securely in place when closed. A 1 ½-inch diameter grommet is added on the sides for power cords to allow for charging of the laptop. 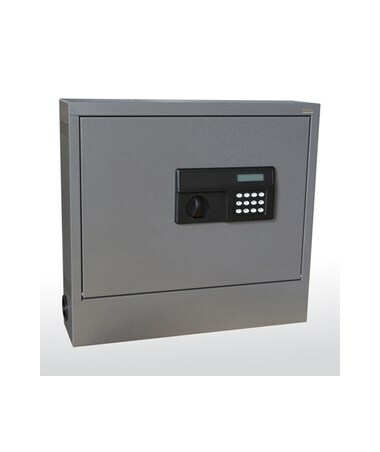 The contents are secured by an electronic keypad lock run by four AA batteries and accessed by a programmable administrative and a user password. This wall mount cabinet can fit most laptops that are 17-inches or smaller. It includes cell phone and camera storage holders and a bottom space for a power strip. It features side vent holes for ventilation. 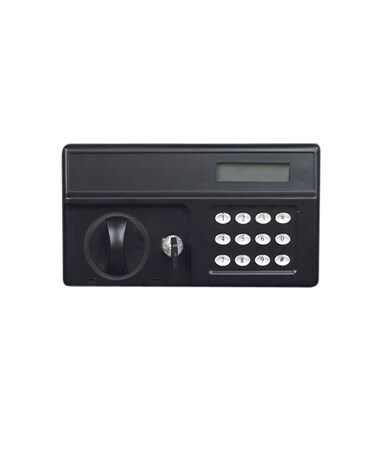 The security keypad has two backup emergency means that are located under the handle plate. One is an external power source and the other is an overriding key. 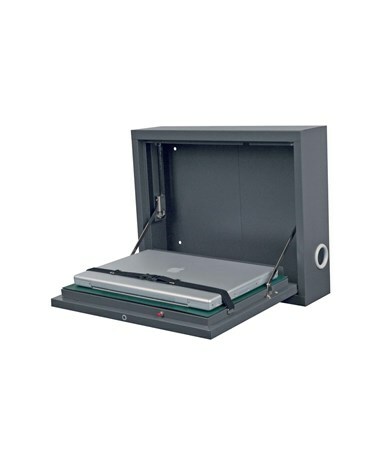 This laptop safety cabinet is made of 20 gauge welded steel with a charcoal-colored powder coat finish. 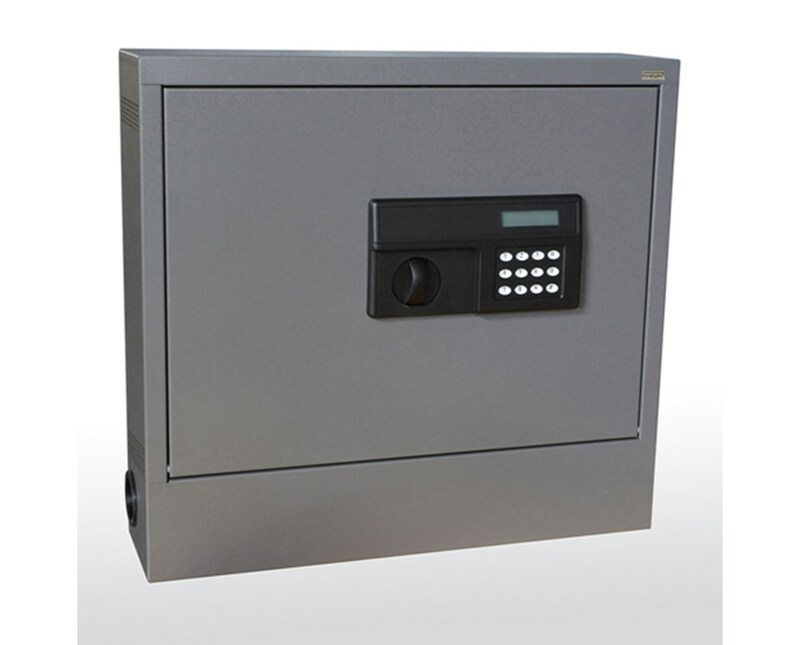 It meets ANSI and BIFMA shelf standards.